On February 3 of 2013, precisely one hundred and forty-six days prior to this writing of this article, the Baltimore Ravens defeated the San Francisco 49ers 34-31 in Super Bowl XLVII(47) at the Superdome in New Orleans. Over 71,000 fans attended the always sold-out event, with an approximate 108 million viewers watching from their television at home. Last years championship featured a first half blowout performance(Ravens lead 28-6), a halftime knockout performance(Beyonce), as well as a second half blackout performance when the 49ers went on a 17-0 scoring run after the entire stadiums power went out for over half an hour. When all was said and done, Baltimore went home champions while San Francisco went home to wait for their next chance in the 2013-2014 season. 'Wait' probobaly isn't the best term. For the last 146+ days, the rest of the National Football League's players have been running, lifting, and training for the chance to redeem themselves after falling short last season. The time to 'wait' is over. Fall is almost upon us, and that means you can break out the barbecues and beer koozies because football season is back! Let's run through the Top 10 Storylines to follow entering the 2013-2014 NFL season. On June 26, authorities arrested New England Patriots tight end Aaron Hernandez. Hernandez, 23, allegedly murdered 27-year old semi-professional footbal player Odin Lloyd over a night club dispute. The victims body was found early June 17th by a jogger, just a few blocks from Hernandez's home. Police already suspected Hernandez before the arrest, describing him as 'evasive' when approached by law enforcement. Their suspicions were all but confirmed when a search of the players house revealed he had just hired a cleaning service to wipe his house spotless just days after the murder. They found that he had destroyed all of the tape from his home security system. When authorities asked him to turn over his cell phone, he handed it to them 'in pieces'. Since then, things aren't looking much better for Hernandez. Convenience store security cameras show him with the victim hours before the murder was committed, and one of the other suspects has told police that he was told Hernandez killed Lloyd. As if this wasn't enough to condemn Hernandez, another charge has been filed against him Alexander Bradley, an acquaintance of Hernandez. Bradley alleges that Hernandez shot him after a night club dipute in February, causing him to lose his right eye. Hernandez is still awaiting trial for both cases. That is just the non-football element to this story. The New England Patriots were loaded with offensive weapons last season, but lost most of it's receivers to free agency. The Patriots were relying on tight end phenoms Aaron Hernandez and Rob Gronkowski to catch a lot of passes. They suffered a setback when Gronkowski was injured, and now without Hernandez they are in critical condition. He was their most valuable remaining offensive weapon outside of Tom Brady, catching 175 passes for 1,956 yards and 18 touchdowns over the last three seasons. With Hernandez behind bars, Julian Edelman becomes the only pass-catcher left over from New Englands 2012 roster. Can Tom Brady still succeed after losing all of his primary offensive weapons? Or will New England fold under the pressure of an offseason marred with murder headlines? This is by far the most intriguing story of the year. The statistics are impressive. The most impressive thing of all is that he accomplished these feats less than a year removed from tearing his ACL, the most serious of football injuries that is known for ending running backs careers. Just ask Gale Sayers or Robert Brooks. Adrian Peterson is the best running back in the NFL. They've probably already reserved a place for his statue in Canton's Hall of Fame. The single-season rushing record is Peterson's last mountain to climb for individual career accomplishment. After coming so painstakingly close last season, will 2013 be the year he cements himself as the greatest running back in the history of the game? After shocking the world by becoming the 2012 World Champions, it seems the Baltimore Ravens still aren't getting their due credit. Despite being the defending champs, AP32's power rankings still has Baltimore as only the fifth-best team in the NFL. This is probably due to the fact that the Ravens lost eight of their starting players from last season, more than any defending champion in the history of the league. 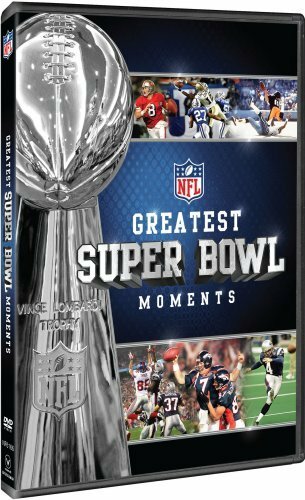 Perhaps the biggest loss was Hall of Fame linebacker and emotional leader Ray Lewis, who decided to retire after winning his first Super Bowl Ring. The Ravens still have quarterback Joe Flacco, who signed a $120.6 million dollar contract with the team after leading them to the championship last year. They also still have stud running back Ray Rice, as well as 2013 1st round draft pick Matt Elam, who was brought in for the departed Ed Reed. Baltimore enters 2013 just like it did in 2012, underrated and under the radar. Can they repeat their underdog success of last season, or will they crumble from the loss of so many key players? 2012 was the year of Read-Option Quarterbacks. Opposing defenses were left in confusion after being dominated by fleet-footed signal callers like Colin Kaepernick, Robert Griffin III and Russel Wilson. Some anlysts believe that defenses just weren't prepared to stop the Read-Option last season, but with an offseason of film study under their belt the defenses will neutralize this style. These analysts fall into the 'Read-Option is just a fad' camp. Savvy football enthusiasts such as myself are over in the 'Read-Option is here to stay' camp. The widespread success last season is hard to argue with. Defenses may have had an entire offseason to prepare, but offenses had an entire offseason to perfect the Read-Option. It will be interesting to see if this exciting new system is here to stay. As discussed earlier in the article, Adrian Peterson's return from his ACL injury was unprecedented in the NFL. This year, Robert Griffin III is going to hope to do the same. 'RG3' suffered multiple knee ligament tears during Washingtons loss to Seattle in last years Wildcard playoff round. His rookie season was sensational before the devastating knee injury. He has been in extensive rehabilitation programs over the course of the offseason, and the Redskins hope to have him as the starter when they play the Eagles on September 9th. Griffin will have to take a page from Adrian Peterson's book to have a strong 2013 season. 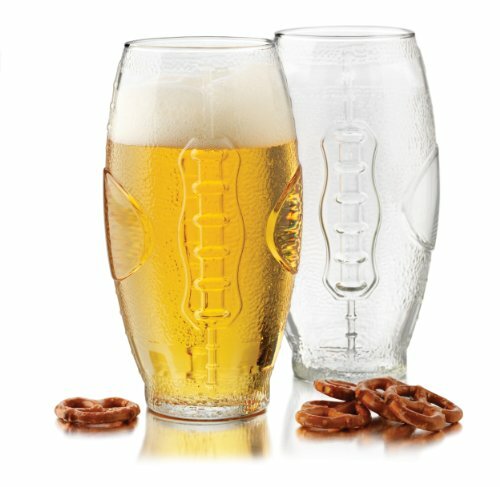 Beer Glass iPhone case includes wrist band, screen protector, iPod stylus pen and laser pointer! New coach Chip Kelly hopes to revive the Philadelphia Eagles after a disappointing 4 wins and 12 losses in 2012. Meanwhile, Michael Vick looks to revive a career that has slipped into mediocrity since his arrest and conviction in 2004 for his involvement in a dog-fighting ring. The dynamic quarterback is currently embroiled in a qurterback controversy with the younger Nick Foles. While Vick is expected to win the start when the season begins, a couple bad games could mean he rides the pine while Philly gives the youngster a look. Chip Kelly will try to fill the shoes of coaching guru Andy Reid, who was finally given the boot after years of *almost* getting the Eagles to the Super Bowl. Reid is now the head coach for Kansas City, and if Kelly doesn't turn the Eagles around he could leave Philadelphias owners wishing they had never let Reid go. Jets qurterback Mark Sanchez has fallen out of favor in New York. Sanchez peaked in popularity during his Super Bowl rookie season, and since then his stock with Jets fans has been plummeting fast. New York Jets owner Woody Johnson helped alleviate the fanbases pain when he drafted Geno Smith in 2013. Don't be too excited Jets fans. Word from Jets minicamp is that personnel coaches feel more comfortable with Sanchez at this point because Geno Smith is still learning the offense. I think Sanchez will start in the season opener, but Geno Smith has so much upside this QB controversy will still be going on well into the 2013 season. My bet would be for Smith to take the job from Sanchez by week 8. 2012's BountyGate scandal proved to be the New Orleans Saints undoing last season. The league began investigating Saints personnel in 2010 when reports surfaced that defensive coach Gregg Williams had incorparated a bounty system into the defensive players salaries. Roman allegedly offered Saints players tens of thousands of dollars to knock opposing players out of the game. Gregg Williams was hit with a lifetime ban, but that wasn't the biggest blow for New Orleans. Head coach Sean Peyton was suspended for a year when the league determined he likely had a role in BountyGate. Without him, the Saints suffered a losing record and did not make the 2012 playoffs. Payton is back in 2013 and it's up to him to get the Saints back to a competitive level of play. With his return in 2013, the Saints hope to return to form and once again be a dominant force in the NFL. NFL executives are feeling the pressure from player safety advocates who believe the sport is too violent. In recent years, they have began to fine players who deliver hits deemed more dangerous than necessary. NFL suits have to be careful how they alter the game. Football is a contact sport by nature, and football purists argue changing the rules are making the game too soft. Still, the NFL is currently facing concussion litigation with over four thousand former players. Something has to be done, and they have acted. NFL owners voted in a new rule for the 2013 season, stating that any player who delivers a hit while lowering their head will be flagged on the play and fined by the league. The team owners voted it in at an overhwhelming 31 to 1 vote, with the Cincinnati Bengals being the only hold out vote. Players around the league have voiced their dismay on Twitter.“Last time I checked football was a contact sport," tweeted Chicago Bears running back Matt Forte “Calling bank now to set up my lowering the boom fund." The league has yet to specify just how steep the imposed fines will be. It will be interesting to see if the rule change will spark controversy during the season. If the rule came into effect and say, changed the outcome of a game, the league could see backlash from the NFL players union. 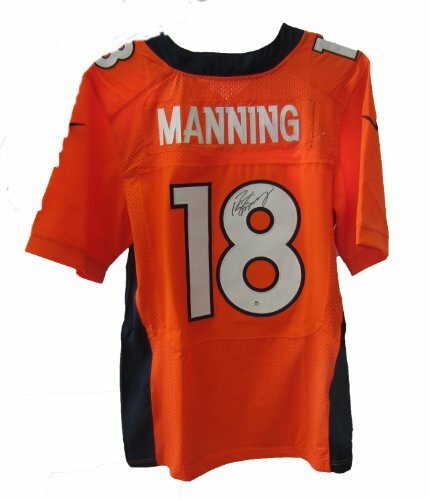 The Manning brothers have become famous for their familys storied success in the NFL. Peyton and Eli Manning are quarterbacks for the Indianapolis Colts and New York Giants, respectively. Their father, Archie Manning, was also an NFL quarterback. Prior to last year, four of the last six Super Bowls had a Manning brother at quarterback. Last season, however, neither Manning brother managed to make it to the big game. If I had to bet one of the two to make it, I'd pick Peyton. His Broncos are an all around better team than Eli's Giants, not to mention the AFC has less competition than the NFC. Who will own the bragging rights in the next chapter of this sibling rivalry? I've included a fun little video of a commercial just released featuring the Manning Brothers. Lets hope their play this year is better than their rapping. As a Packers fan the back up situation is a little concerning. I can't wait to see the cream of the crop rise this season. A lot of young, up and coming teams to watch, some stars coming back from injuries, drama for the Jets (it's like watching a train wreck), and teams on the cusp of break throughs...looking forward to the NFL season kickoff!